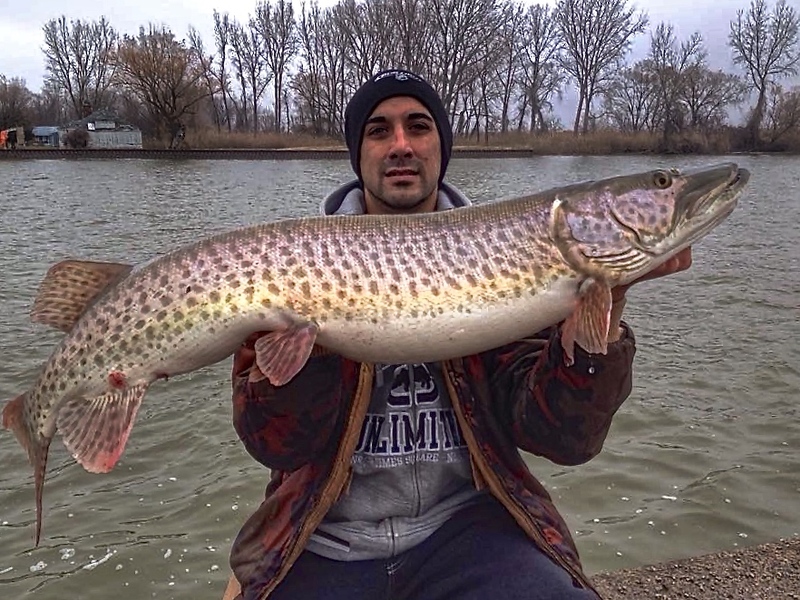 Shawn McLaughlin is a 31 year old angler, hailing from Windsor Ontario. He has been Muskie fishing for over 8 years and guided two seasons on Eagle Lake Ontario for Muskie and also in Manitoba for Walleye and Big Pike! He’s a multi specie angler fishing for Walleye, Largemouth Bass, Smallmouth Bass, Trout, Crappie, Muskie, Pike and Salmon. He has it’s own unique view of what’s going on down below when it comes down to Muskie fishing in the fall, and was willing to share his experiences with us! Casting can be extremely exhausting but I wouldn’t trade it for anything. There’s something about being directly connected to that lure and feeling the ferocity of some of the most bone jarring strikes, that unless you have experienced it for yourself it’s hard to explain. In fall I use a variety of baits but around 80% of the time it’s some sort of soft plastic. Musky Innovations Bulldawgs, Bondy Baits and Waterwolf Shadzilla’s usually account for most of my fish. Trying a variation of different colours, sizes and retreives is the way I primarily target fall fish. When casting I would say that the figure 8 is about 50% of your cast… Whether it’s an eight or an oval or some variation of the two, you must always pay attention close behind your bait! Most strikes can occur at the last second and happen often when you go and take the bait out of the water. 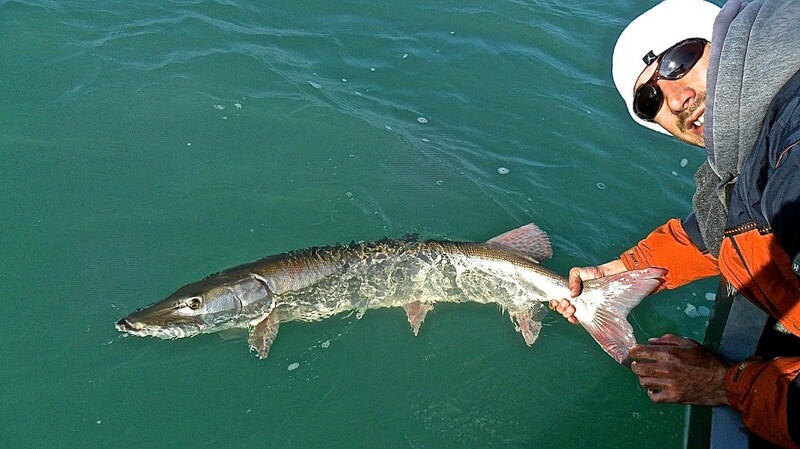 In a nutshell, Muskie fishing at this time of year is addictive no matter whether you decide to cast or troll. The thug is the drug and Muskie fever is a real thing! 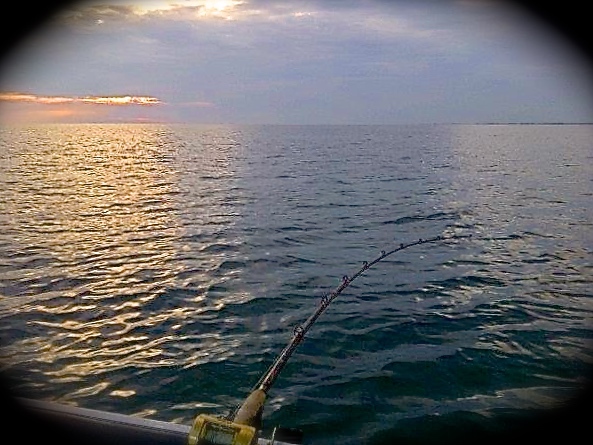 So as I leave you to dream about tangling with these freshwater sharks, I leave you with one piece of advice… Cast untill you can’t cast no more, and troll untill you run out of gas, because the key to catching is persistence and you never know when that next strike will be that fish of a lifetime! Tight lines and good luck to all in search of their unicorn! Shawn with a nice Muskie. Hard work pays off! !